The war in America today is really a war on constitutionalists. You know, conservatives that might be a member for instance of the Tea Party, perhaps a returning veteran or worse yet...a church member! The real story here is that the lawful are now those that are the watched, the harassed and those deprived of their rights on a much too frequent basis. Much too little is being spoken or written about it by that that used to be considered the "watchdogs", i.e. the media who have gone deaf, dumb, blind and sometimes, complicit. -W.E. 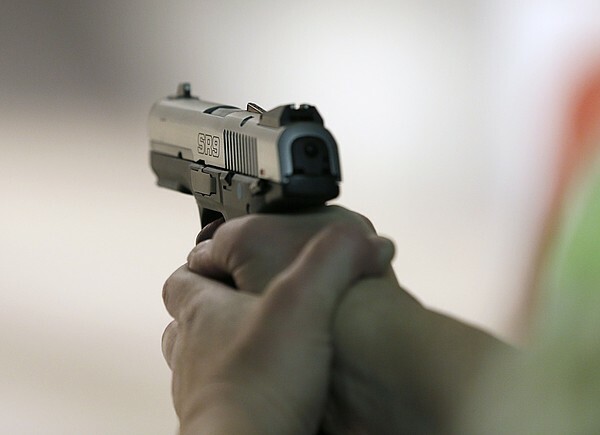 A court case is developing in Virginia after a man was ordered at gunpoint to the ground, handcuffed, taken to a police station and detained – all for carrying two guns he owns. A complaint has been filed in U.S. District Court in Richmond on behalf of Brandon Howard over “the unlawful arrest and detention” in violation of the First, Second, Fourth and 14th Amendments. Howard was protesting Barack Obama’s presidency, calling for his impeachment, while legally carrying two guns, according to the complaint filed by the Rutherford Institute. Hopewell, Virginia, officers surrounded him, ordered him to the ground, handcuffed him and took him to jail. All for activities that are legal, according to his attorneys. “Nowhere is this double standard more evident than in the government’s attempts to arm itself to the teeth, all the while viewing as suspect anyone who dares to legally own a gun, let alone use one,” he said. “Indeed, as this case shows, while it still technically remains legal to own a firearm in America, possessing one can now get you pulled over, searched, arrested, subjected to all manner of surveillance, treated as a suspect without ever having committed a crime, shot at and killed. This same rule does not apply to law enforcement officials, however, who are armed to the hilt and rarely given more than a slap on the wrist for using their weapons against unarmed individuals,” Whitehead said. He was legally carrying an AR-15 rifle over his shoulder and a pistol in a holster. “Howard lawfully owned each firearm and did not point or brandish them at any time while engaged in his First Amendment protest activity on the overpass,” the organization reported. “Thereafter, three to five additional police cruisers arrived at the scene with emergency lights engaged. Approximately eight officers exited these vehicles with their guns drawn and ordered Howard to drop his sign and get on the ground with his hands spread above his head. Howard complied with the officers’ orders,” the institute reported. The reply apparently prompted the handcuffs and trip to jail. The lawsuit seeks nominal, compensatory and punitive damages because, for one thing, the department later admitted that one of the officers violated department policy and would be disciplined and sent to remedial training.